How might we think differently? This book is an attempt to respond to this question. Its contributors are all interested in non-standard modes of knowing. They are all more or less uneasy with the restrictions or the agendas implied by academic modes of knowing, and they have chosen to do this by working with, through, or against one important Western alternative — that of the baroque. Why the baroque? One answer is that the baroque made space for and fostered many forms of otherness. It involved knowing things differently, extravagantly, excessively, and in materially heterogeneous ways, and it apprehended that which is other and could not be caught in a cognitive or symbolic net. It also involved knowing in ways that did not gather into a single point and knew itself to be performative. As part of a great Western division between rationalist and non-rationalist modes of knowing, the baroque is therefore a possible resource for creating ways of knowing differently — a storehouse of possible alternative techniques. To say this is not to say that it is the right mode of knowing. 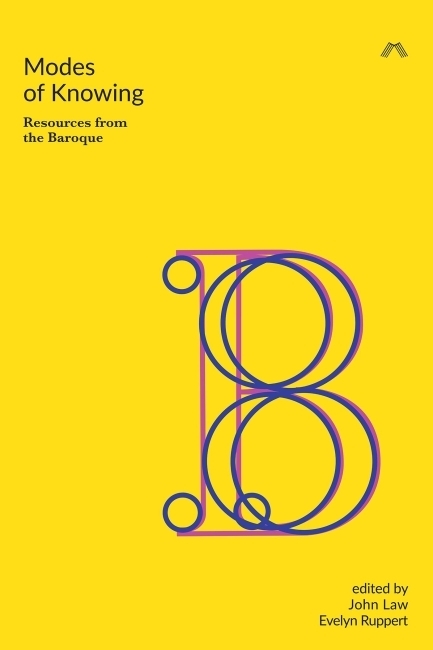 The book’s authors do not seek to create a ‘baroque social science’ whatever that might be, but instead work in a range of ways to explore how drawing on the ‘resources of the baroque’ can help us to think differently. 3. Fallacy of the Work, Truth of the Performance: What Makes Music Baroque: Historical Authenticity or Ontological Plurality?